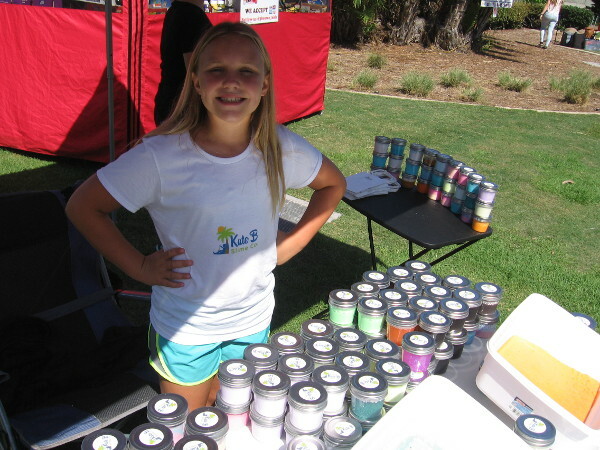 Kid entrepreneurs showcase their creativity! – Cool San Diego Sights! 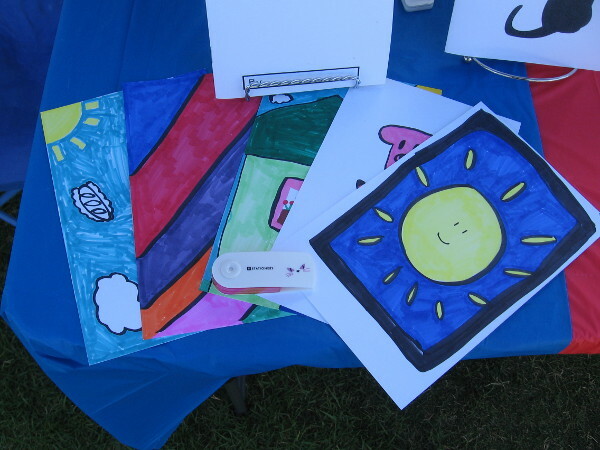 Kid entrepreneurs showcase their creativity! 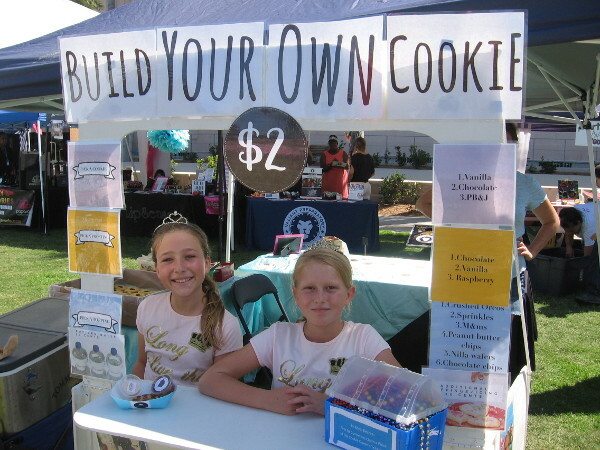 Two youthful entrepreneurs in San Diego invite prospective customers to Build Your Own Cookie! 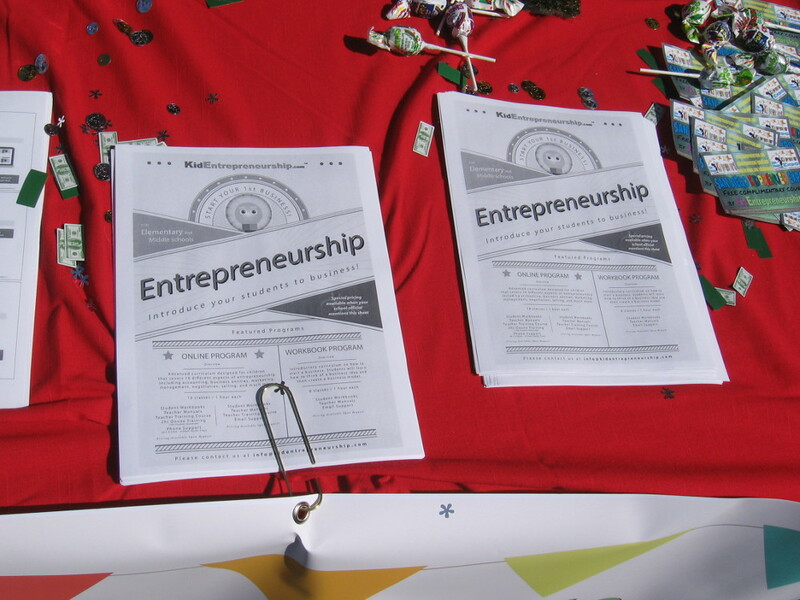 This morning I headed down to check out the first ever San Diego Kidpreneur Expo at Waterfront Park. And look what I discovered! 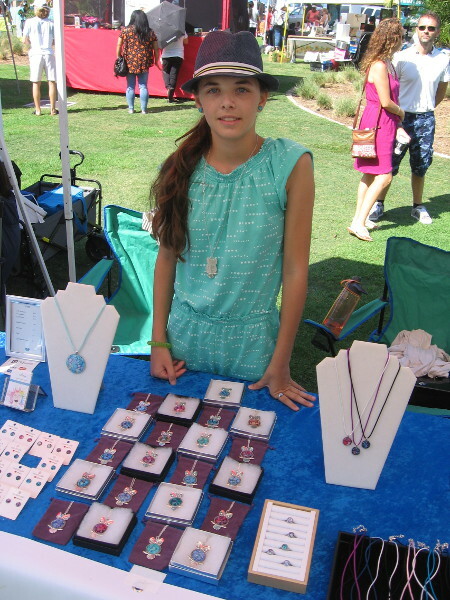 Kid entrepreneurs were greeting visitors and showing off all sorts of cool, very creative products! I had spent almost all of my pocket money on a haircut before heading on down, so I’m afraid I didn’t buy anything. But I did take a bunch of inspirational photos! What an outstanding event! Hopefully it becomes a regular thing. 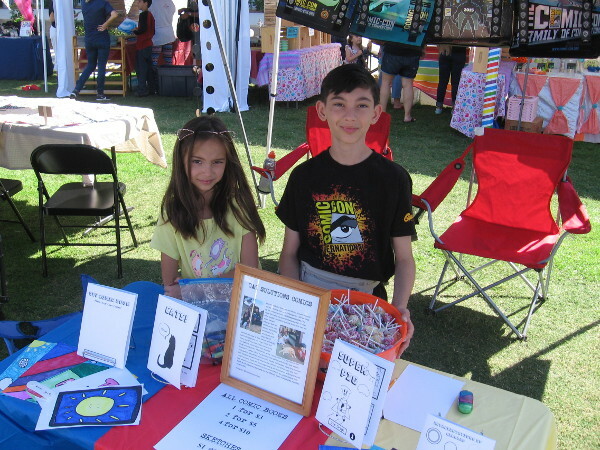 You can learn more about San Diego Kidpreneurs here. 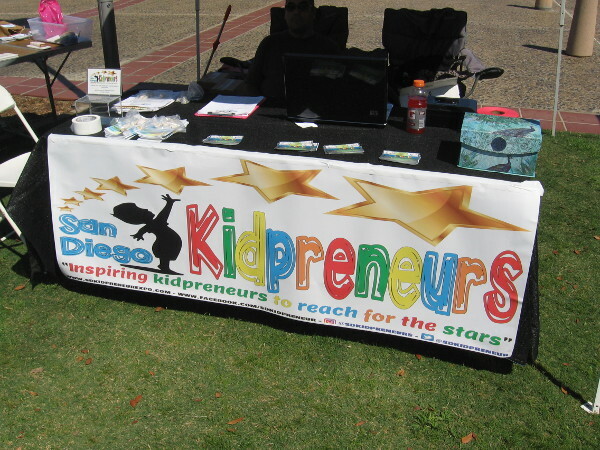 San Diego Kidpreneurs is working to inspire young entrepreneurs to reach for the stars! A young person is filmed by a news crew at the San Diego Kidpreneur Expo. 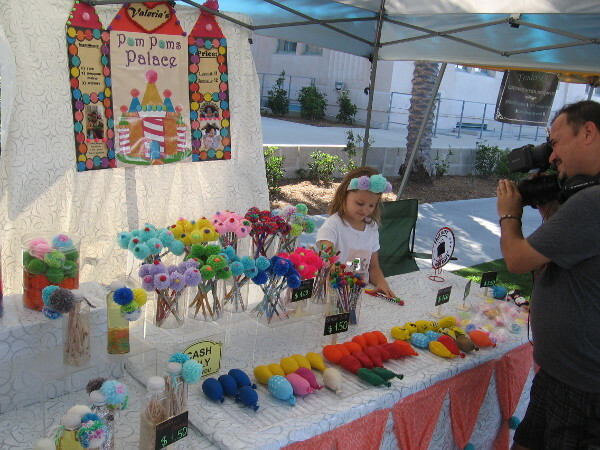 Her enterprise is Valeria’s Pom Poms Palace. 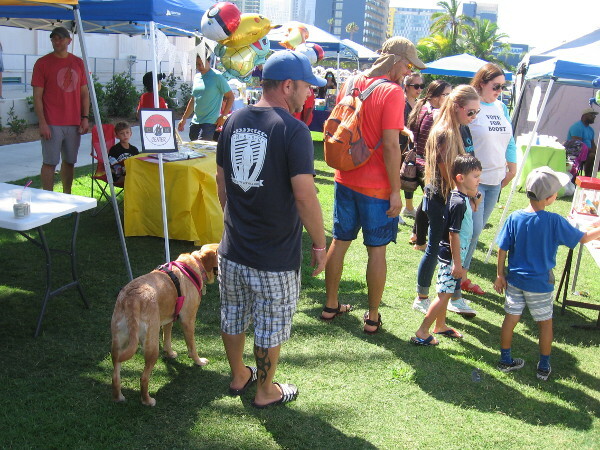 Families check out what future business leaders are up to at the San Diego Kidpreneur Expo. 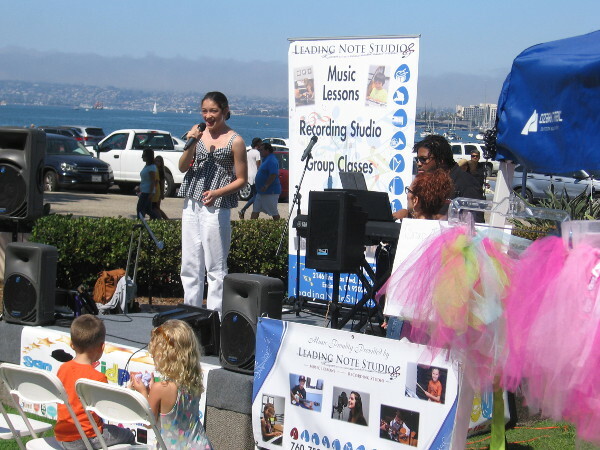 Young lady sings during a super cool event on San Diego’s Embarcadero: the first ever Kidpreneur Expo! 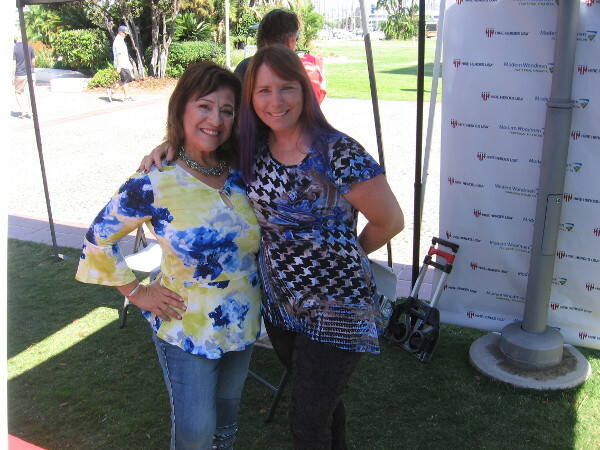 These nice ladies welcoming visitors to the San Diego Kidpreneur Expo event at Waterfront Park smiled for a photo! Amy has a website called Little Dragonite. A portion of the sales from littledragonite.com go to help kids in regional hospitals. 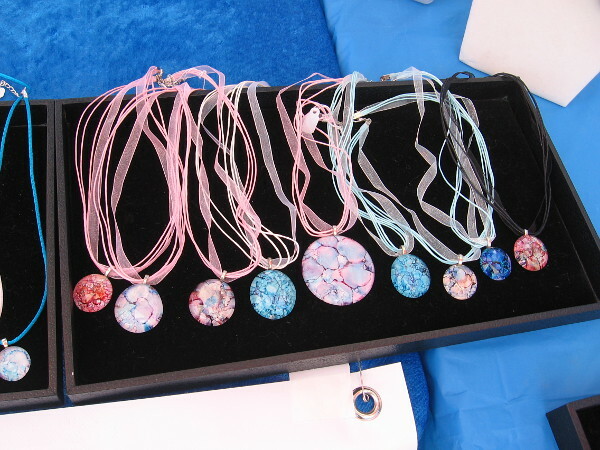 Amy makes handcrafted jewelry which is full of color. She is inspired by the beauty of nature. 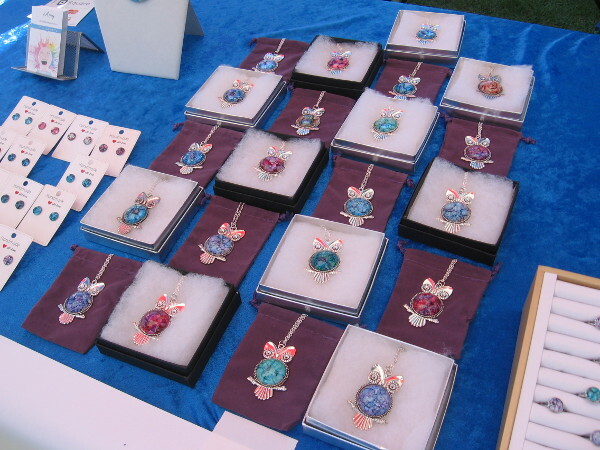 Amy of Little Dragonite has enjoyed great success at art fairs and other events. She wants to make a positive difference in this world. I predict even more success! 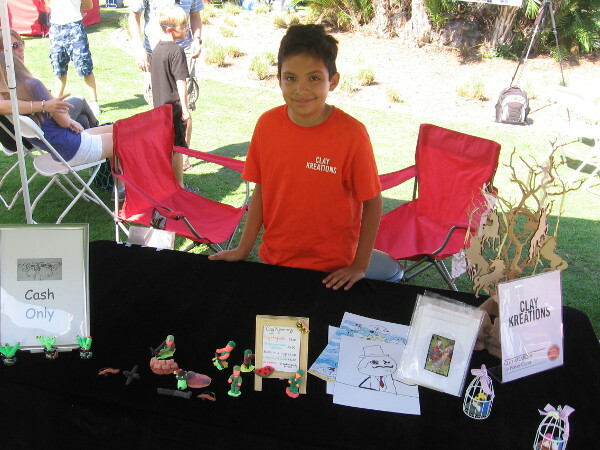 This young entrepreneur created all sorts of very cool Clay Kreations, including magnets and awesome artwork. 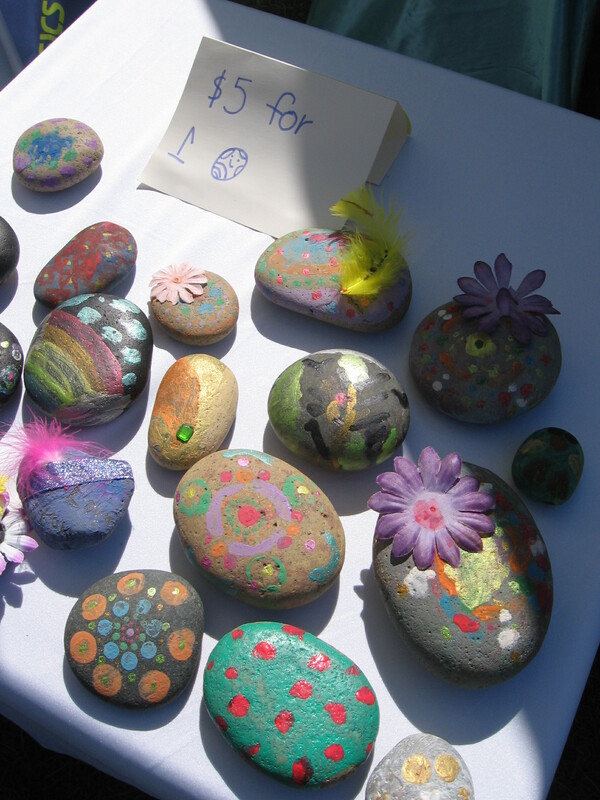 One young person at the expo hand painted some very colorful smooth stones. These friendly kids have created @catsolutionscomics. Check it out on Instagram! 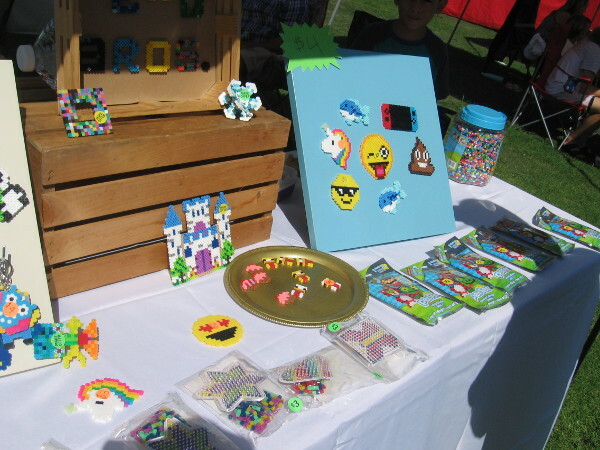 Fun artwork on display created by young aspiring entrepreneurs! 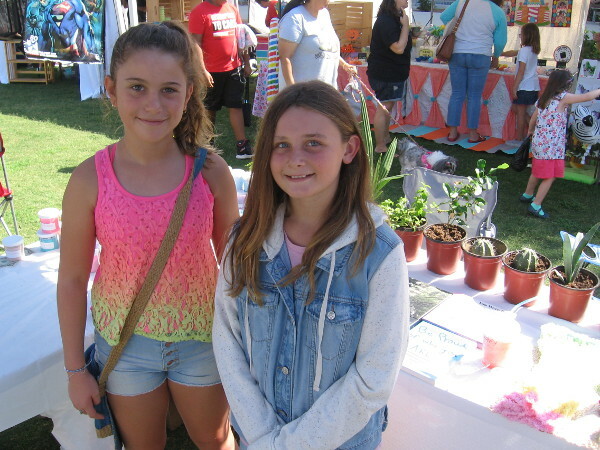 These young ladies of Musicl.ly Brave the Sparkle had lots of cool slime and plants for sale at their table! Look at all the slime they have in stock! 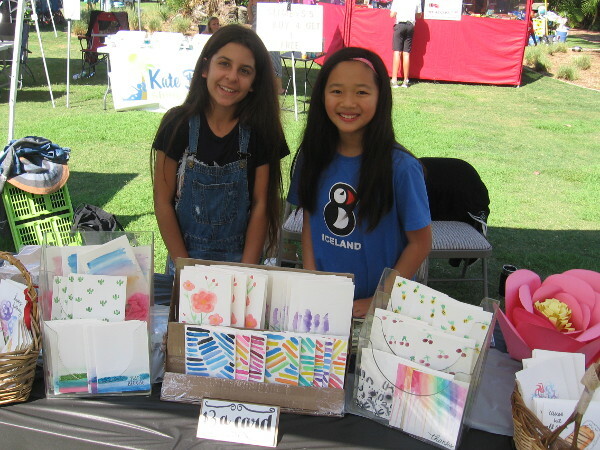 These young ladies of the Sunday Morning Studio had lots of really great handmade watercolor greeting cards for sale. 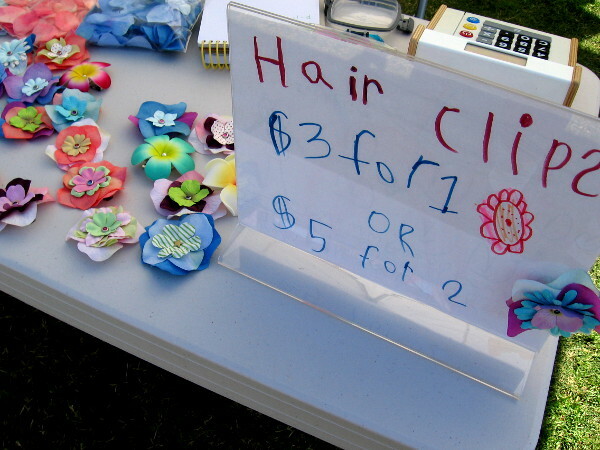 Another very young entrepreneur made some pretty flower hair clips. 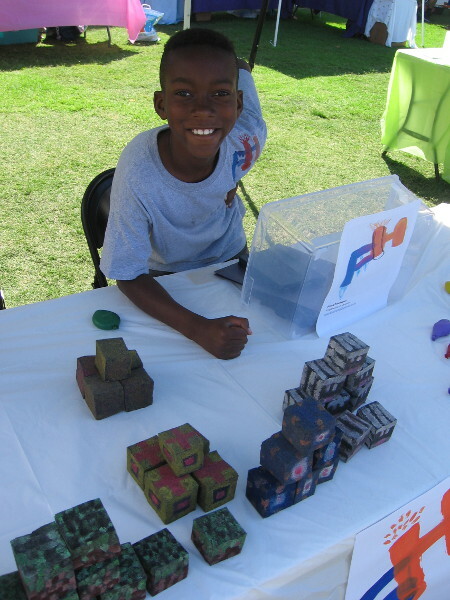 This guy made some super cool Minecraft cubes! 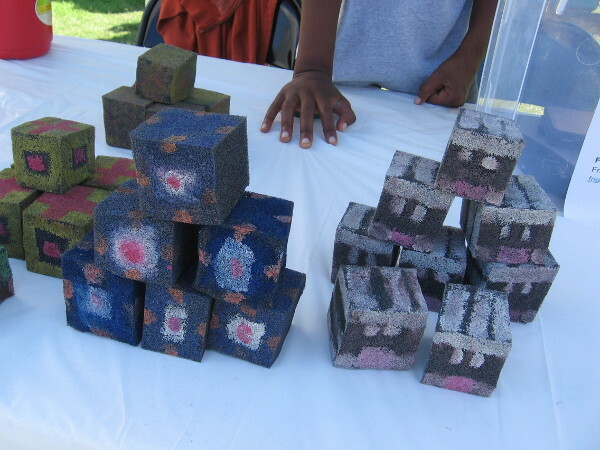 He painted some spongelike material to look like Minecraft blocks. I think the people at Minecraft should partner with this kid! Awesome idea! His enterprise is called FriezTheHeat. 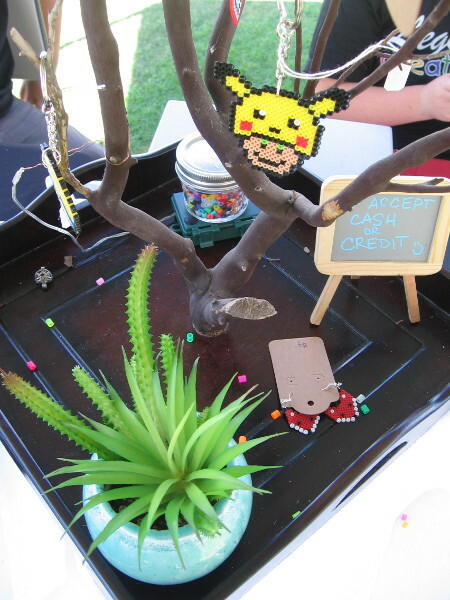 I saw all sort of creative stuff at a large variety of tables at the event. 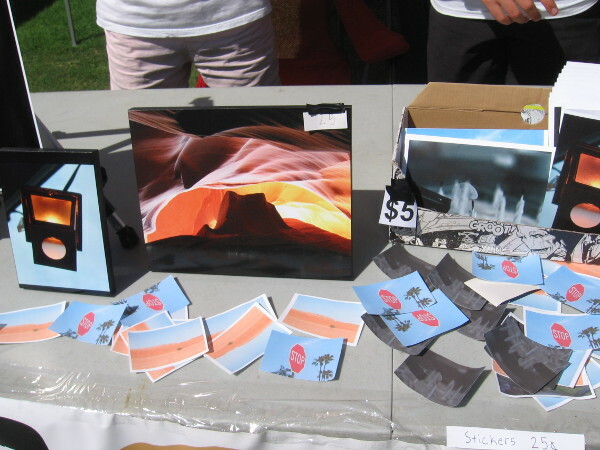 These items were created by the Legacy Creations Kids. 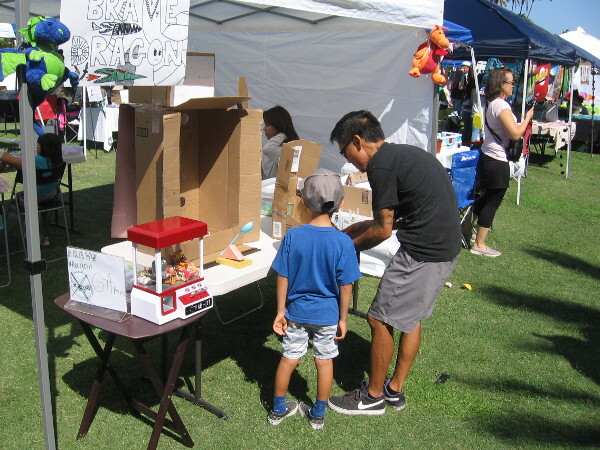 This kid at the Brave Dragon table made lots of exciting amusement table games. His dad works as a designer. 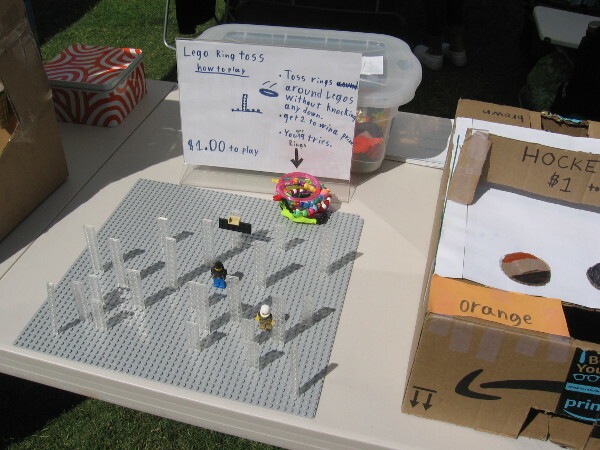 Here’s a fun Lego ring toss game. 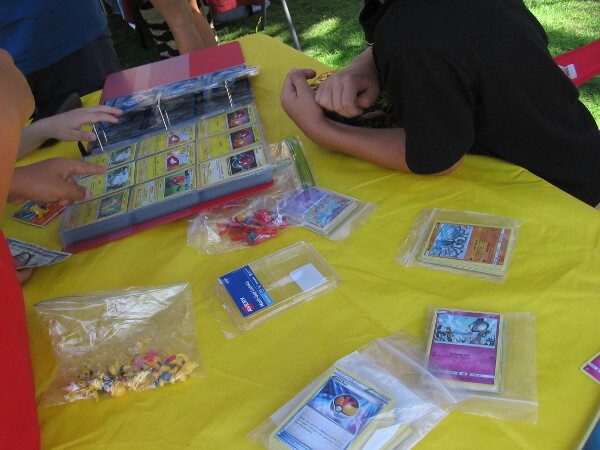 Lots of business was transacting at the Pokemon Center. 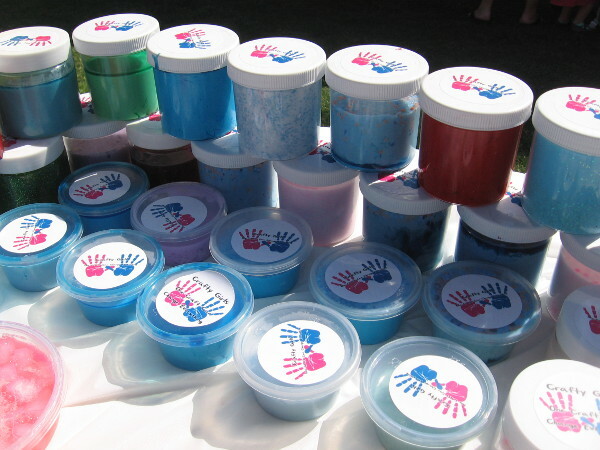 More slime for sale! It seems to be a very popular item! 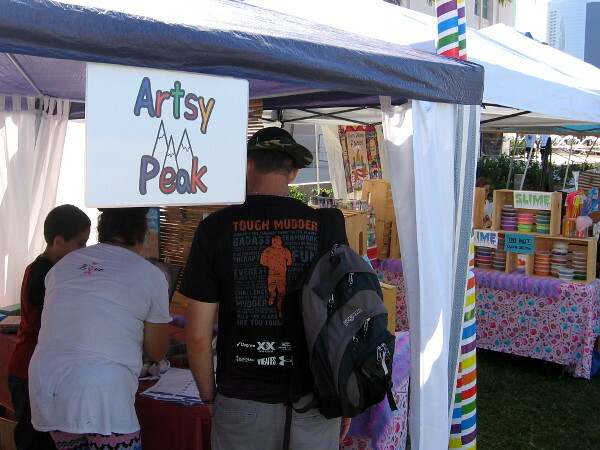 A young artist was showing his great artwork at a booth called Artsy Peak. 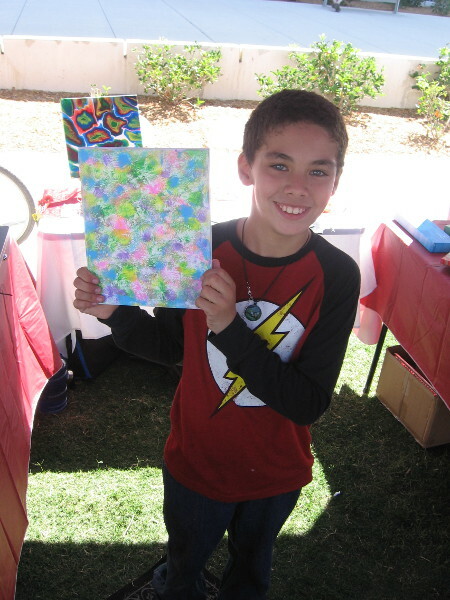 The smiling young man shows his super colorful artwork! 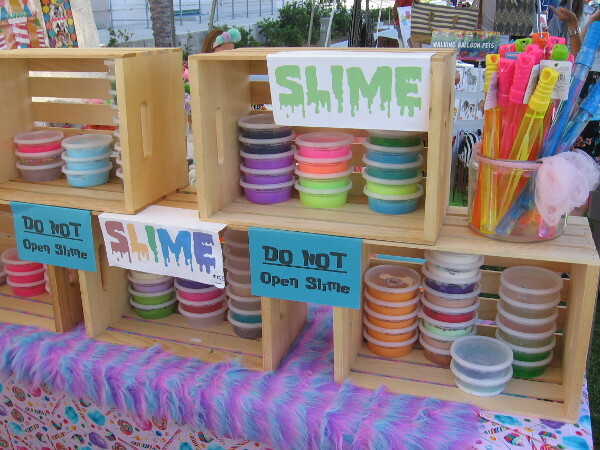 Here’s the Kate B Slime Co. Looks like a great selection of slime is available! Two young people operate Double Lens Photography. Some of their photos were astoundingly good, including one of a sandstone canyon. 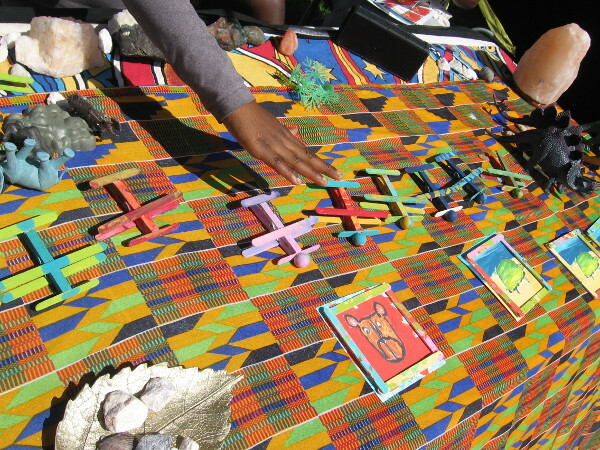 More cool, super creative stuff at the expo. You can frame a picture or make an airplane with a popsicle stick. 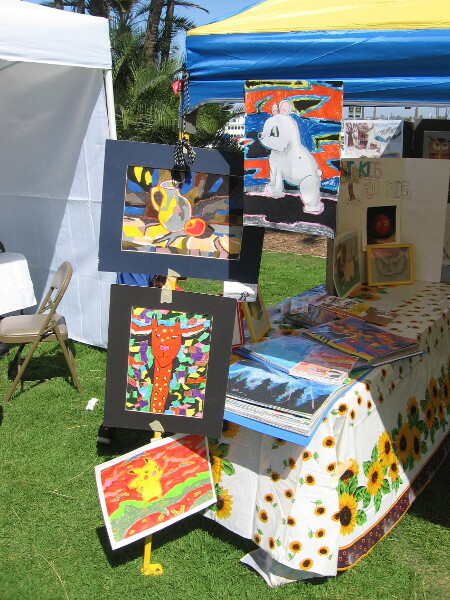 A talented and super nice family had created lots of really great art. 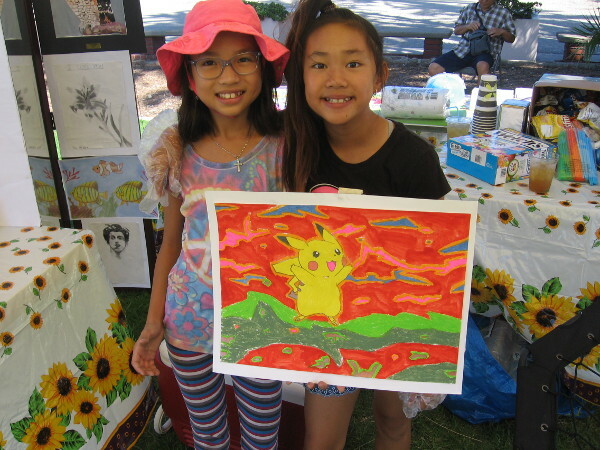 Pikachu and two young artists at the San Diego Kidpreneur Expo! Previous Previous post: Photos of beautiful flowers in Mission Valley. Next Next post: A beautiful walk along Batiquitos Lagoon Trail.